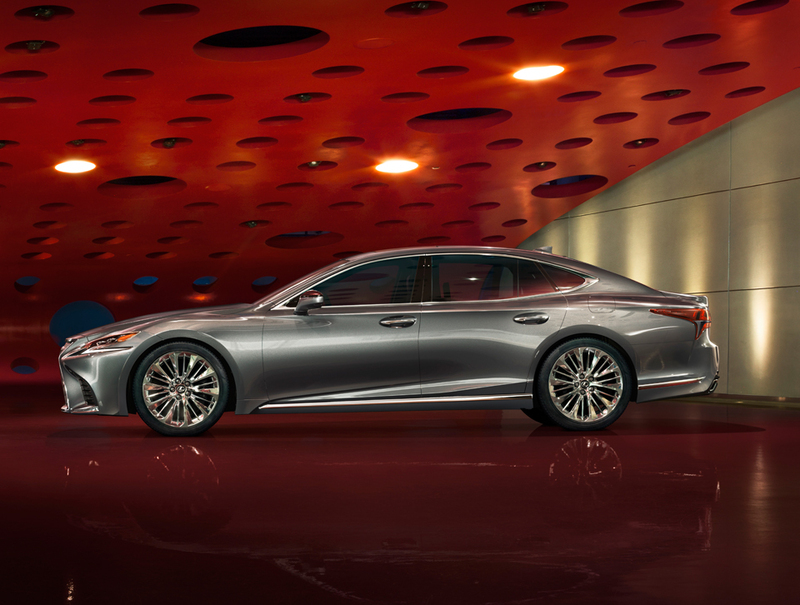 The 2017 North American International Auto Show and 2017 Geneva Motor Show hosted, respectively, the unveiling of the all-new 5th generation Lexus LS and LS 500h, the full hybrid version of Lexus’ flagship sedan. Conceived as the new global pinnacle of the Lexus brand, the new LS does what the original LS did 28 years ago - reimagine and redefine what a luxury vehicle can and should be. Built on Lexus’ new premium rear-wheel drive platform, with its low centre of gravity and radically increased rigidity, the 2018 LS is unlike anything else on the road - exciting in looks, dynamic in performance, superior in comfort, and bristling with innovations that represent the best of Lexus’ visionary thinking. 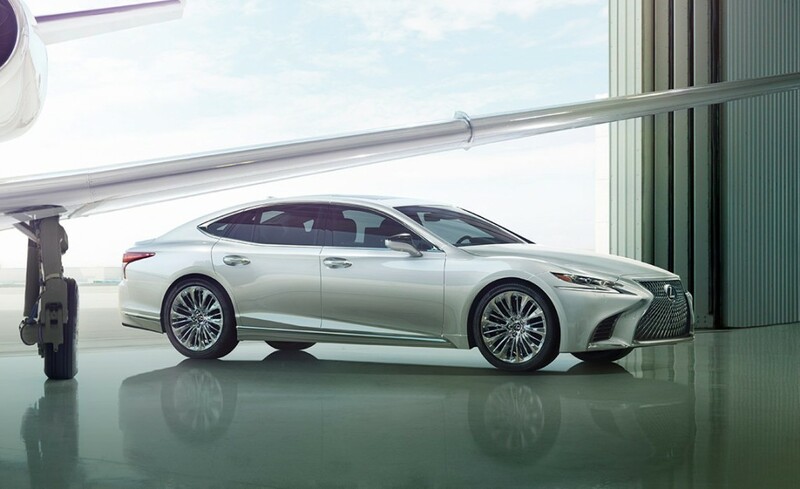 Lexus designers and engineers took full advantage of the longer and lower platform to create a sleek coupe-like silhouette with an aggressive ground-hugging stance. LS’ dynamic personality is reflected in a unique take on the signature spindle grille with a mesh that appears to change depending on the angle and light. To ensure looks matched intent, body parts were forged from lightweight materials, including ultra-high tensile steel sheet, to carve excess weight, and enhance agility and performance. Effortless luxury performance is at your command, courtesy of an all-new 415 horsepower twin turbo V6 matched to a 10-speed automatic transmission. Incorporating advances gained through F1 racing experience, the 3.5-litre engine offers V8 power without compromise in fuel efficiency. The transmission, which first debuted on the stunning Lexus LC 500, features close ratio gears that turn acceleration into exhilaration, accompanied by a specially-tuned exhaust that lets you hear the power as you thrill to the potential. 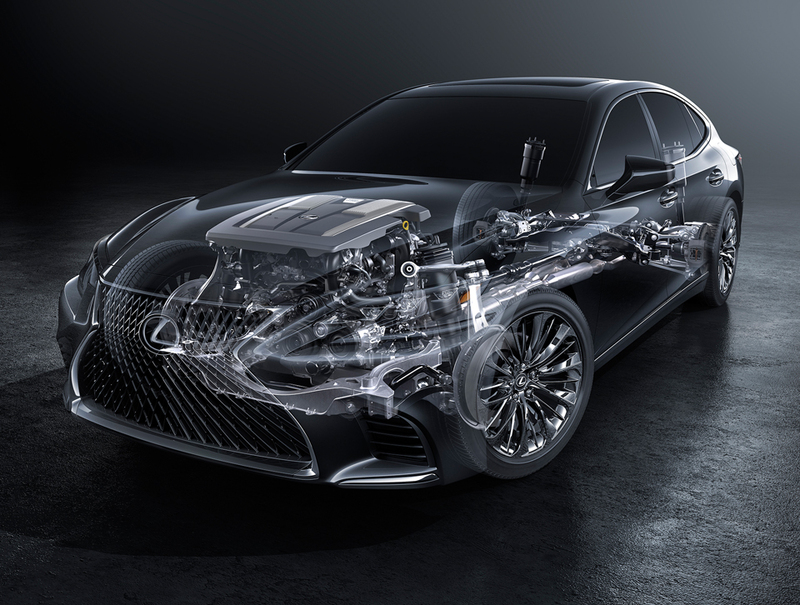 Lexus’ Multi Stage Hybrid system transforms hybrid power performance. The system adds a four-stage shifting device to the Lexus Hybrid Drive combination of a 3.5-litre V6 gas engine and two electric motors. The result is more direct response to driver inputs and an elevation of dynamic performance driving pleasure - including the ability to accelerate from 0-100 km/h in 5.4 seconds, and ability to travel up to 140 km/h on electric power alone. The system also features an M mode that enables the driver to select and hold gears manually using paddle shifts mounted behind the steering wheel. Lexus LS 500 and 500h blaze a trail for all others to follow, with innovations that make every journey more exciting, relaxing and safer. The 12.3” navigation display and available 24” head up display keeps time critical information front-and-centre. The next generation Remote Touch mimics the operation of your smartphone, while also enabling handwritten input. The available Mark Levinson audio package, developed specifically for LS, features an in-ceiling array of speakers for 3D-surround sound. 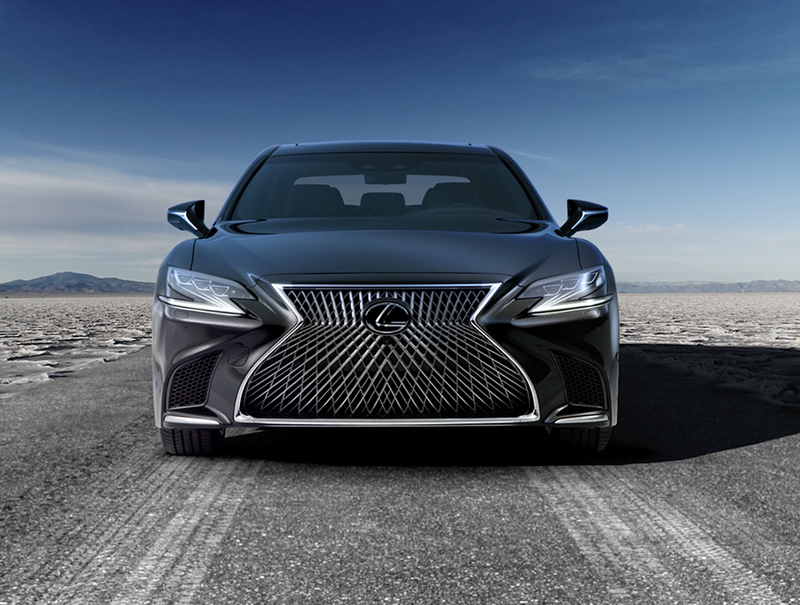 And, in addition to Lexus Safety System+, LS makes available the world’s first ‘intuitive pedestrian detection with active steering’ technology; a system capable of detecting a pedestrian in the lane ahead and taking steps to avoid collision while never leaving the lane. Omotenashi - the art of Japanese hospitality - is evident throughout the spacious new cabin, enveloping you in a realm of luxurious comfort and convenience. Unlock the door, and the available air suspension with access function raises the vehicle to let you slide easily behind the wheel. New seating designs include available 28-way power front seats with heating, cooling and Shiatsu-massage functionality. The same luxury package lavishes attention on passengers in the rear with seats that recline for comfort and raise to assist in entry and exit. Unique touches, including ambient interior lighting inspired by Japanese lanterns, hand pleated door trims inspired by the Japanese art of Origami, and armrests that appear to float, combine the classic and contemporary to create an environment that’s at once sensual yet serene. Have a question? Fill out this form and we will get back to you with an answer!